Pasadena Drone Services - The Drone Co. The Pasadena Drone Service Company, The Drone Co. 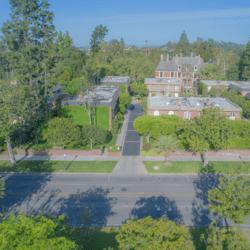 If you’re looking for a drone service company in Pasadena call on the local owned and operated Pasadena Drone Service Provider, The Drone Co, Pasadena. We provide drone photography and video services Pasadena and surrounding areas. If you need a drone service in Pasadena, California from a FAA licensed, certified, insured and professional call on The Drone Co. Pasadena (310) 912-3044. The Drone Co Pasadena provides aerial Drone Service in Pasadena with our local Pasadena-based pilots. All of our Pasadena pilots are FAA Licensed Drone Pilots, that are Insured, Trained and Certified by The Drone Co. If you need Drone Service in Pasadena call on the only local Pasadena, Californa drone services company with a 100% Satisfaction Guarantee!